The research, undertaken by facial tracking firm, Realeyes, found the Mr Clean ‘Cleaner of your Dreams’ and Skittles’ ‘Romance’ advertisements both scored a 98 per cent engagement rate during this year’s Super Bowl game, topping the list of 51 commercials screened. The score was based on a combined measure looking at how well the ad grabbed a viewer’s attention, kept it, and left an impression. 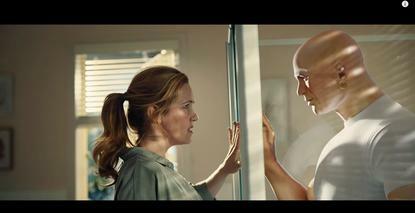 According to Realeyes, both commercials had universal appeal across genders and age groups, while Mr Clean was particularly appealing to women. To do this, Realeyes tracked the facial expressions 3300 people via their Web cams, provided by Lucid. Third on the most engaging list was Bai’s ‘J Timberlake and C Walken’ ad, with an engagement score of 94.6 per cent, and Buick’s ‘Big game Cam Newtown’, at 93.9 per cent. Rounding out the top five was Wonderful Pistachio’s ‘Ernie gets physical’ 15-second commercial, which scored 93.2 per cent. What was also clear from the research was that humour, not social or political themes, was key to winning audiences over. As an example, Jaatma pointed to Budweiser’s ‘Born the hard way’ commercial, which focused on the beer brand’s immigrant founders and generated significant PR and social buzz. In comparison, the ad scored just 36.3 per cent and ranked sixth worst among the 84 ads studied through facial tracking. Top of the list for worst ads was Airbnb’s ‘We accept’ and Coca-Cola’s ‘America is beautiful’, which both centred around social issues and ranked third and second, respectively. Realeyes recently struck a deal with Mediacom to incorporate its facial tracking technology into the media agency's creative and planning.